Luigi & Shanna's Wedding Day. Now, this was my type of wedding. Luigi and Shanna were an absolute blast to be with all day. Their friends and family sure know how to have a good time. Luigi was another client of mine who I had graduated high school with. I missed out on our 10 year reunion, but this wedding certainly made up for it. It was great to see a bunch of familiar faces again. Their wedding took place all over downtown New Haven, Connecticut. It was a beautiful fall day. Perfect weather for walking around the city, going from place to place throughout their day. 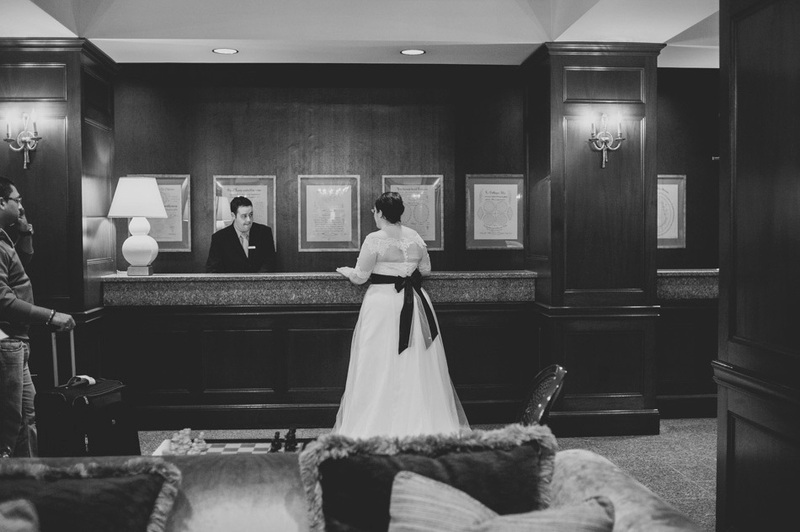 The couple got ready at the Omni Hotel, followed up by a first-look at the Yale Center for British Art. In between we did wedding party photos on the New Haven Green and surrounding areas. I gotta say, I’ve never been heckled before while doing photos. So, that was a little interesting, to say the least. The day continued with the ceremony being held at Dwight Chapel on the Old Campus, and finished off with the reception at ROIA Restaurant. The whole day was great. From start to finish. Everything was perfect. Luigi and Shanna, best of the luck to the both of you in your new future together.